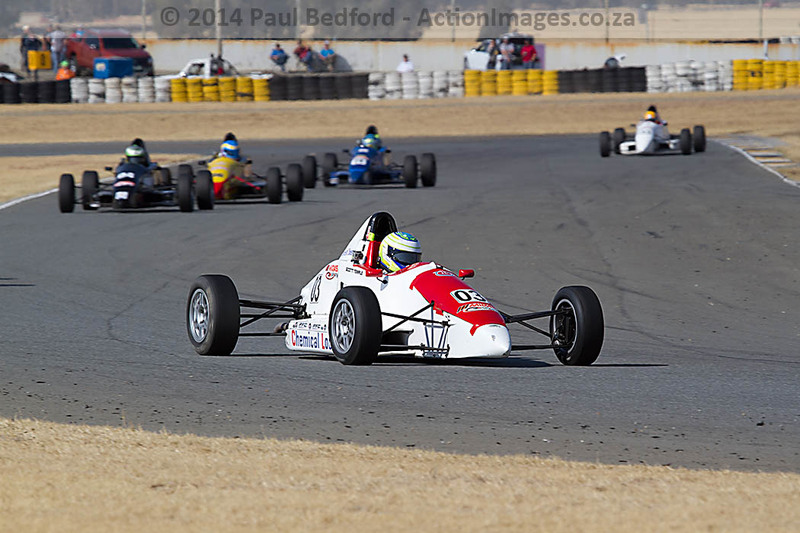 The Midas South African Single-Seaters (SASS) tackle round six of their 2014 championship at Zwartkops Raceway on Saturday, 30 August. This race meeting is one week after their international counterpart, Jayde Kruger, tackled the Knockhill round of the Dunlop MSA Formula Ford Championship in Fife. Kruger entered that round of his championship in the UK just 14 points off the leader – and facing a tough battle to close the gap to the series leader, Harrison Scott. In South Africa, with three rounds left in the championship, the fight between the top two Formula Volkswagen drivers is hotting up. Nicholas van Weely (87 – Anglorand) heads to Zwartkops with a 12 point lead over Robert Wolk (1 – Midas / Chemical Logistics / ATE). 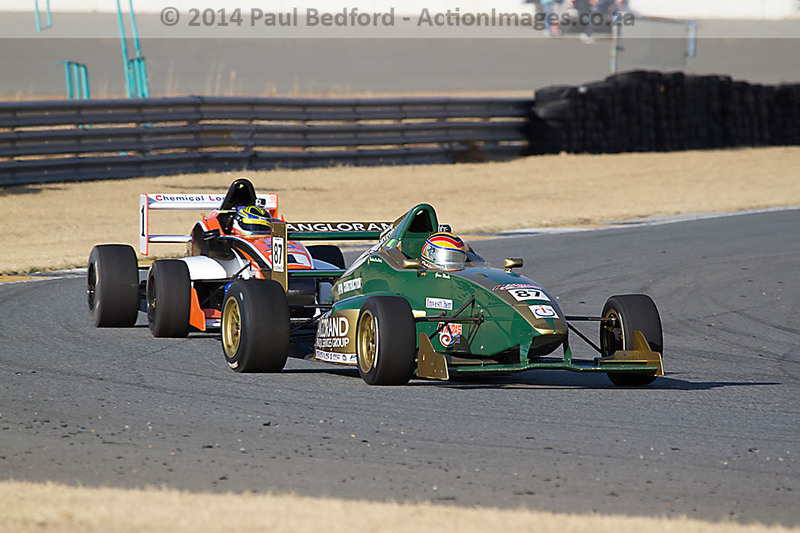 The pair shared race wins at the Phakisa round of the championship, with Wolk taking the overall victory for the day. The narrower Zwartkops circuit is going to make overtaking a difficult task at this round so qualifying becomes a vital part of a successful strategy for both of these racers. Jason Campos (19 – Hollard Insurance) and Werner Scholtz (3 – Motorvia / Investchem) will be involved in a spirited battle for this place – currently there is just one point separating the pair on the overall standings. 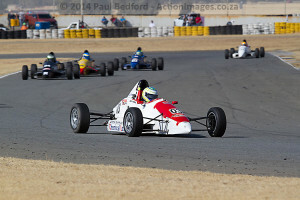 In the Midas Formula 1600 series Scott Temple (3 – Investchem) currently has control of the series. Temple won both races at Phakisa and has a 10 point lead on Keegan Campos (02 – Hollard Insurance). While Temple appears to have a comfortable margin, Campos is waiting in the wings, ready to pounce at the slightest mistake to close that gap to the championship leader. As with the FVW category, there is also a fight taking place for third place. Here Graham Hepburn (04 – Suburban Bodyshop) and Bevan Williams (36 – Rightway Auto-Electrical) are aiming for that third podium step with 11 points the margin between them. Williams showed at Phakisa that he wasn’t going to stand back for anyone and claimed third place in each of the races. A similar performance at the Zwartkops round could see him really close down on Hepburn in these closing stages of the season. The South African Single-Seaters will be involved in some tense moments at Zwartkops that should keep motorsport fans well entertained as they battle each other to produce some of their best racing performances this season.